Your should keep emergency supplies in your vehicle at all times. Whether you just need a jump or you get an unexpected flat, having the right gear will get you back on the road. And if you're stuck overnight somewhere with no help available, having a blanket to wrap around yourself will be w elcome addition to your vehicle kit. Never be stranded without these essential items in the trunk of your car. 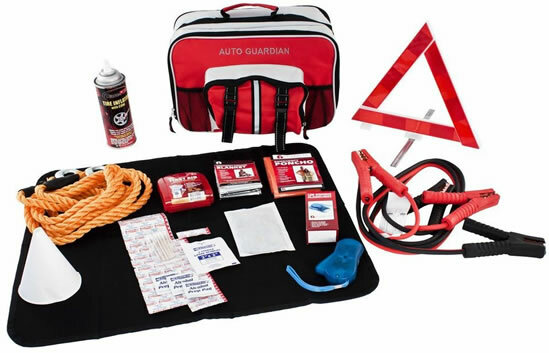 All of the items in this Auto Kit are packaged safely in our durable auto bag that includes a foldable floor mat.